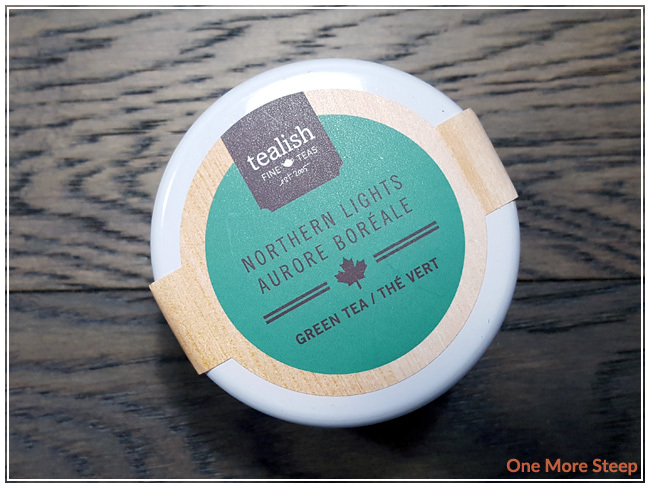 Tealish’s Northern Lights came to me as part of The Sugared Teacup’s July themed subscription box. Northern Lights came in a super cute little white tin. I was a little bit rough when opening the tin though, and it came off with a pop and some of the tea came out so I would caution you to be careful if you get it in a small white tin as well. This is my first exposure to Tealish and I really like their label – it’s simple, tells me the name and type of the tea. Unfortunately, the label on this little tin didn’t list the ingredients or steeping instructions, so I had to hop onto their website for that. The dry leaf has a very bright citrus aroma to it, it also smells sweetly of apples. 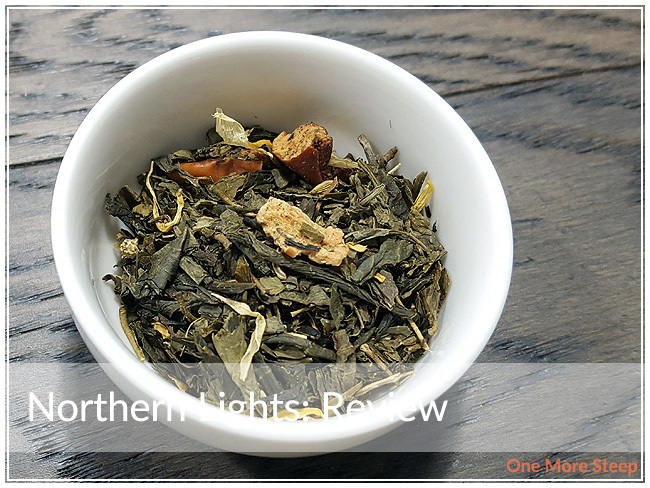 Northern Lights consists of: green tea, apple cubes, orange peels, fennel seeds, flavouring, and calendula petals. I quite like that I can see the ingredients in this tea (obviously minus the flavouring). It smells really good, has a great fruity aroma to it. Tealish recommends steeping Northern Lights in 80°C (176°F) water for 1-3 minutes. My initial steep was for 2 minutes. 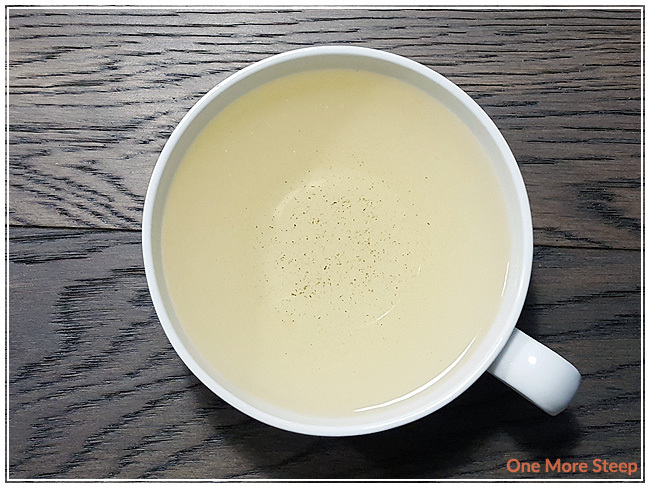 Northern Lights steeps to a pale yellow, and there are a lot of tiny particles to this tea so in hindsight I wish I had used a filter bag instead of a stainless steel infuser for this tea – learn from my mistakes if you don’t like drinking pieces of tea. 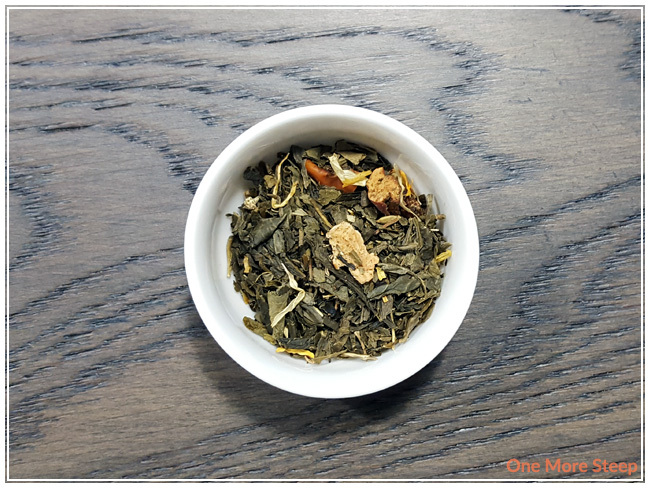 This green tea blend has a sweet aroma to it, the citrus fragrance from the orange peel and the apple pieces mingle well to create a very fruity smell. 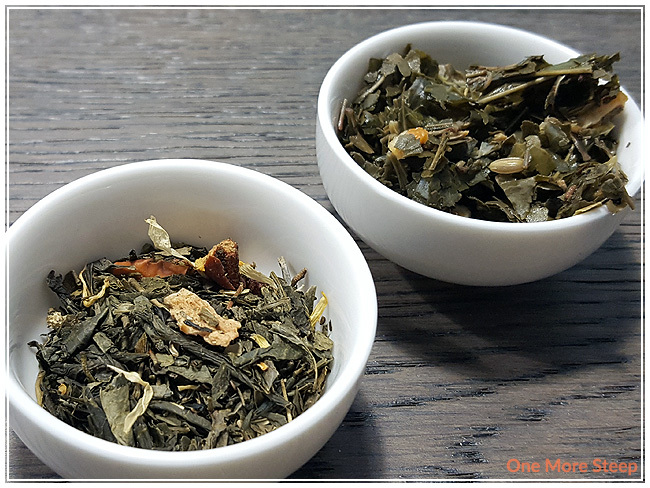 On first taste, I can taste the natural sweetness from the fruit (and can make out the apple flavour), and a light sweetness from the green tea base. The green tea itself is quite light, and has just a hint of sweetness to it that is enjoyable. I poured some of my initial steep into a mason jar to cool and then I added some ice cubes to it. This tea is delicious iced – I usually find a lot of fruity teas to be good iced, and Northern Lights was good. I might even like it better iced than hot. I attempted to resteep Northern Lights and found for the second steep, the flavours that I loved in the initial steep were quite lacking in the second steep. It was hard to find the orange and the apple in the second round so I would say that Northern Lights is good for one steep only. I liked Tealish’s Northern Lights. I really like the flavour profile and the fact that I could taste the orange, the apple, and the green tea all separately and the flavours balanced with each other quite well. I also think that Northern Lights does quite well when iced, and I’ll probably wind up cold steeping or icing this tea when I have it again. It doesn’t do well with resteeping, which was quite disappointing. I also wish that the label had more information about this tea (but I also acknowledge that Tealish may have changed their packaging/labeling for the tea that went into The Sugared Teacup subscription boxes).